Google’s new social network Google+ is the strongest candidate for becoming the new leading network for referral traffic. Even though it is relatively new, your audience is already there and is ready to communicate with you. In this article, you will find some useful tips on how to have a unique Google+ user experience while connecting with your audience. Before connecting with people, you need to make sure that you have an impressive profile that can attract people’s attention. To accomplish this, fill all profile information, list your hobbies in detail and give information about your professional experience. Simply, present yourself in detail so that people can relate to you easily. Many people in social networks have a tendency of sharing useless information extensively. Obviously, you don’t want to read everything that people in your circles are sharing. Decide who you really want to hear from and add those people to a separate inbox circle. By using this strategy, you will manage the amount of content you keep up with and not be overwhelmed with useless information. You can expand the number of people who add you to their circles with a new Word Press plug-in called GoogleCards. GoogleCards adds a widget to your blog that displays your profile information. If people want to follow you on Google+, they can simply click on the widget and add you to their circles from your blog. To add people to your circles, you can use your existing networks and export your connections from Twitter and Facebook. The easiest way to do this is by using a free online social media tool Export.ly. You can also export your Facebook friends with your Yahoo email account. What you need to do is really simple. First, log into your Yahoo email account, click on Contacts and then Import. Next, click on the Facebook icon and import your Facebook contacts by following the instructions. On Google+, it is really easy to segregate who you want to share your information with. On the other hand, the people who you share your information with have no such limitations. In other words, people can reshare what you shared with them and your information may spread across your networks. Therefore, you may want to disable resharing in the upper-right-hand corner of your post. If you use the default email notifications settings of Google+, your Gmail account will receive excessive spam emails from Google. To prevent this, go to the Google Account options and uncheck all notifications you don’t want to get. If you try to promote your products every chance you get, people will not want to communicate with you. What you need to do is to avoid blatant ads and focus on creating value for people. You should join discussions, create solutions, provide how-to guides and answer people’s questions. Once you’ve built your authority, people will be willing to click on your links and learn about your products. Being active in any social network is the key and Google+ is no different. You need to check your account every day, share valuable information and comment on people’s posts. As long as you are active and open to communicating, others will likely check your account and build a relationship with you. Benjamin Sawyer is in Internet marketing for almost half of a decade. Since he is passionate blogger, he often writes about blogging and social media tips. Beside that, he is a content writer for Paramold, a wholesale candles bulk, company from New York. Thank you for letting me know about GoogleCards plugin, I’ve added it to my blog and hope it will be useful. Yes, these are the advantages. The G plus one is just going to put you up ahead. The thing is people keeps on complaining about their privacy. They have plug-ins as well for it. Great post! 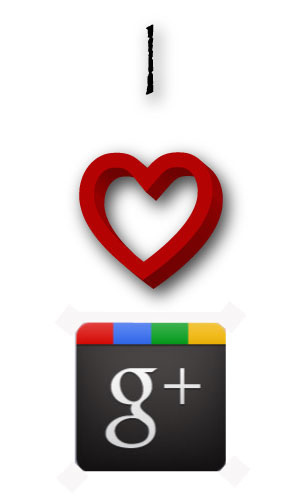 I’m still learning about Google+ myself but I’m discovering that it has so much untapped potential as a business tool.